I had originally intended to include in chapter 1 of Aquinas a brief overview of the history of Thomism. But as things turned out, the book was running too long, and since the section in question did not fit entirely smoothly into the chapter anyway, my editor and I decided to cut it out. Still, since it might be useful to readers looking for a quick rundown on the (often bewildering) variety of schools of thought that have developed within the Thomist tradition, here it is. (It begins a bit abruptly; it was meant to come immediately after the section on “Aquinas’s life and works,” and refers back to some issues raised in that section.) I’ve broken it into two parts: this post covers the history of Thomism up through the mid twentieth century; the second will cover analytical Thomism and offer some recommendations for further reading. Proud owners of Aquinas interested in a “Director’s Cut” can print and paste them between chapters 1 and 2. The controversy over Aristotelianism hardly ended with Aquinas’s work, much less with his death. In 1270, while Aquinas was still alive, Stephen Tempier, the bishop of Paris, had condemned several propositions associated with Averroism, though these did not include any defended by Aquinas. But after Aquinas’s death, in 1277, Tempier went on to condemn 219 propositions, some of which were clearly to be found in Aquinas. This led Albert the Great to come to Paris to defend his former student, and other Dominicans also threw themselves into the task of upholding the doctrine of their fellow friar. Indeed, the study of Aquinas was to become mandatory within the order. This Dominican defense and consolidation of Aquinas’s teaching beginning just after his death is sometimes taken by historians to constitute the beginning of the first of three periods in the history of Thomism. That it was successful is evidenced by the facts that Aquinas was declared a saint by Pope John XXII in 1323, and that two years later, in 1325, Tempier’s condemnations of 1277 were revoked by his successor. A second period in the history of Thomism is sometimes dated roughly from the period of the Protestant Reformation and the Council of Trent (1545-63) which was called in reaction against it. Thomas de Vio, also known as Cardinal Cajetan (1469-1534), produced a major commentary on the Summa Theologiae that would have a decisive influence upon the general understanding of Aquinas’s doctrines. Cajetan’s emphasis on continuity with Aquinas’s own positions was followed by later commentators such as Dominic Banez (1528-1604), and John Poinsot (1589-1644), who would come to be known as John of St. Thomas. This contrasted with the tendency of thinkers from the new Jesuit order, such as Luis de Molina (1535-1600) and Francisco Suarez (1548-1617), to combine Aquinas’s thought with various non-Thomistic elements. These different tendencies, roughly associated with Dominicans and Jesuits respectively, gave rise to sometimes heated doctrinal disputes, the most famous being the controversy over grace, free will, and divine foreknowledge. Ancient and medieval philosophy in general, and Thomism in particular, emphasized metaphysics over epistemology, and objective reality over our subjective awareness of it. The right order of inquiry, from this point of view, is first to determine the nature of the world and the place of human beings within it, and then on that basis to investigate how human beings come to acquire knowledge of the world. Modern philosophy, beginning with Rene Descartes (1596-1650), reverses this approach, tending as it does to start with questions about how we can come to have knowledge of the world and only then going on to consider what the world must be like, based on an account of our knowledge of it. In particular, both Descartes’ rationalism and the empiricism of writers like Locke, Berkeley, and Hume begin with the individual conscious subject or self, develop a theory about how that self can know anything, and then determine what reality in general must be like in line with their respective theories of knowledge. One result of this subjectivist method was to make objective reality and common sense problematic in a way they had not been for Aristotle and Aquinas; skepticism thus came to seem a serious threat, and idealism (the view that the material world is an illusion and that mind alone is real) came to seem a serious option. Another consequence was that even when some sort of objective reality was acknowledged, doubts were raised about the possibility of knowing much about it beyond what the senses could tell us directly. Accordingly, grand metaphysical systems of the sort presented by Plato, Aristotle, and Aquinas were called into question. The philosophy of Immanuel Kant (1724-1804) was an especially influential expression of hostility to traditional metaphysics, distinguishing as it does between “phenomena” (the world as it appears to us, of which we can have knowledge) and “noumena” (the world as it exists in itself, which we cannot know). 1. Neo-Scholastic Thomism: The dominant tendency within Thomism in the first decades after the revival sparked by Leo’s encyclical, this approach is reflected in many of the manuals and textbooks widely in use in Roman Catholic colleges and seminaries before Vatican II. Due to its emphasis on following the interpretative tradition of the great commentators on Aquinas (such as Capreolus, Cajetan, and John of St. Thomas) and associated suspicion of attempts to synthesize Thomism with non-Thomistic categories and assumptions, it has also sometimes been labeled “Strict Observance Thomism.” Still, its focus was less on exegesis of the historical Aquinas’s own texts than on carrying out the program of deploying a rigorously worked out system of Thomistic metaphysics in a wholesale critique of modern philosophy. Its core philosophical commitments are summarized in the famous “Twenty-Four Thomistic Theses” approved by Pope Pius X. Reginald Garrigou-Lagrange (1877-1964) is perhaps its greatest representative. 2. 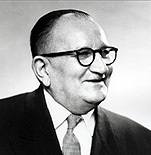 Existential Thomism: Etienne Gilson (1884-1978), the key proponent of this approach to Thomism, tended to emphasize the importance of historical exegesis but also to deemphasize Aquinas’s continuity with the Aristotelian tradition, highlighting instead the originality of Aquinas’s doctrine of being or existence. He was also critical of the Neo-Scholastics’ focus on the tradition of the commentators, and given what he regarded as their insufficient emphasis on being or existence accused them of “essentialism” (to allude to the other half of Aquinas’s distinction between being and essence). Gilson’s reading of Aquinas as putting forward a distinctively “Christian philosophy” tended, at least in the view of his critics, to blur Aquinas’s distinction between philosophy and theology. Jacques Maritain (1882-1973) introduced into Thomistic metaphysics the notion that philosophical reflection begins with an “intuition of being,” and in ethics and social philosophy sought to harmonize Thomism with personalism and pluralistic democracy. Though “existential Thomism” was sometimes presented as a counterpoint to modern existentialism, the main reason for the label is the emphasis this approach puts on Aquinas’s doctrine of existence. Contemporary proponents include Joseph Owens and John F. X. Knasas. 4. Transcendental Thomism: Unlike the first three schools mentioned, this approach, associated with Joseph Marechal (1878-1944), Karl Rahner (1904-84), and Bernard Lonergan (1904-84), does not oppose modern philosophy wholesale, but seeks to reconcile Thomism with a Cartesian subjectivist approach to knowledge in general, and Kantian epistemology in particular. It seems fair to say that most Thomists otherwise tolerant of diverse approaches to Aquinas’s thought tend to regard transcendental Thomism as having conceded too much to modern philosophy genuinely to count as a variety of Thomism, strictly speaking, and this school of thought has in any event been far more influential among theologians than among philosophers. 5. Lublin Thomism: This approach, which derives its name from the University of Lublin in Poland where it was centered, is also sometimes called “phenomenological Thomism.” Like transcendental Thomism, it seeks to combine Thomism with certain elements of modern philosophy, though in a way that is less radically revisionist. In particular, it seeks to make use of the phenomenological method of philosophical analysis associated with Edmund Husserl and the personalism of writers like Max Scheler in articulating the Thomist conception of the human person. Its best-known proponent is Karol Wojtyla (1920-2005), who went on to become Pope John Paul II. First impressions appear to have been accurate, so may I offer my thanks for such an excellent volume! May I also beg you to write volume 2? There seems to me to be a crying need for a philosophically informed history-come-comparative-study of the different schools of Thomism. Studies such as Cessario's "A Short History of Thomism" are good as far as they go, but they don't go far enough into the ideas themselves and the original sources can be hard for the amateur to access. Great post. I too have just received my copy of your book and look forward to reading it. I wonder if Herbert McCabe and Brian Davies will fit in somewhere in 'To Be Continued'? just two questions in TLS at the end of Chapter 5 you state that the errors of the modernists need to in effect be undone with a good dost of classical philosophy, is this the line of thought taken by the neo-scholastics? and do any of themprovide a path with which one could help a friend who'd fallen into the modernist pit or was straying towards the errors of decsartes? My 1st post. I am enjoying your blog. One day I may ask a question about Fathers Bracken, Felt and Hosinski if your daily topic is related. Meanwhile, I think you and your readers would enjoy this relevant 5 part You Tube vid series of Bryan Magee discussing Medieval philosophy, w/ emphasis on Augustine and Aquinas. Pretty sure you would add a title to the list given at the end of the conversation. There is also the British school of Analytical Thomism. Davies yes -- and he's discussed in the book too -- but I don't mention McCabe. Thanks for that, Kenny is always interesting, though I'm critical of him in the book. Like I said, they're discussed in the next post. I think that Epistimology/universals is his problem, its making the leap from platonic to aristolian/scholastic realism. As a side note I really enjoyed Aquinas, especially how you dealt with newtonian objection to the first way. Well, I had to sit on a cold soccer field for most of the afternoon watching my girls play, so I brought along the beach chair and Aquinas. You'll forgive me, Ed, for skipping the into bio chapter and diving right into the chapter on metaphysics. Worth the price of the book alone. Do you really think TPFKA Wojtyła is/was really a Thomist? Every English-language account mentioning the Lublin school (bar Hugh McDonald's translations on the web from Polish) I've come across cites Wojtyła as an example. Are any other Lublin Thomists known outside Poland? (Krąpiec's death was mentioned on Thomistica.net, and some of his books were published in English by Peter Lang. But I don't recall seeing him mentioned in English-language texts referring to the KUL school.) I've only read accounts of Wojtyła-qua-philosopher, and not his actual stuff, but is he really a phenomenologising Thomist, and not rather, as I heard someone say the other day, a Thomistising phenomenologist? Thanks for the book tip. I might have to read it. My faculty is largely the product of KUL trainees, so I'm interested to see another KUL product make the opposite argument. Perhaps in very general sense. Thank you for a most readable account. I take issue however with your terming transcendental Thomism as "having conceded too much to modern philosophy." Perhaps with Rahner, ok. But not Lonergan. Oh no, you must read Lonergan's Latin theology, especially Verbum and his Method in Theology which resembles phenomenological thomism more than anything. As for his magnus opus Insight, you will find not a concession to any modern philosophy but rather a critical, dialectical engagement with all the great moderns: Descartes, Kant and Hegel. My problem is he loses objectivity when he mentions "too much." It was almost a science. Thanks for the informative history. Though I find the 'and this school of thought has in any event been far more influential among theologians than among philosophers' somewhat dismissive of the importance of theology. Granted, much of twentieth century Thomism has been philosophical. But Thomas was, as we all know, a theologian first and foremost. Where would you place "historical Thomism"? By "historical thomism" I mean the trend to do philosophy exclusively from the point of view of historical research. This is a very important distinction, since the history of philosophy is a completely different thing from philosophy itself. This trend of "historical thomism" is very marked among "Existentialists Thomists" and "Laval Thomism" but it not exclusive to these schools. It is much less pronounced, for example, in "neo-scholastic thomism" and "analytical thomism," who are less concerned about who said what and more concerned about things themselves (or at least with words, in the case of analytical thomism). Check out this new translation of a Fr. Garrigou-Lagrange work: The Essence & Topicality of Thomism. Fr. Réginald Garrigou-Lagrange, O.P., explains why Thomism is the solution to the present crisis of Modernism in the Church. Mr. Feser, I'd like you to know that my friends and I (around a hundred of us) are brushing up on A-T, and we're using your book. We are on "Apologetics for Geeks," a Facebook group devoted to learning A-T. You're invite to join us.